Does data security matter to your business? It should, all businesses are at risk, from single register tablet setups, to high volume multi-store operations, hackers can attempt to break into any business and steal valuable credit card information. Take the steps necessary to protect yourself by getting setup with POSMicro and it's trusted Merchant Services Partner Mercury Payments. 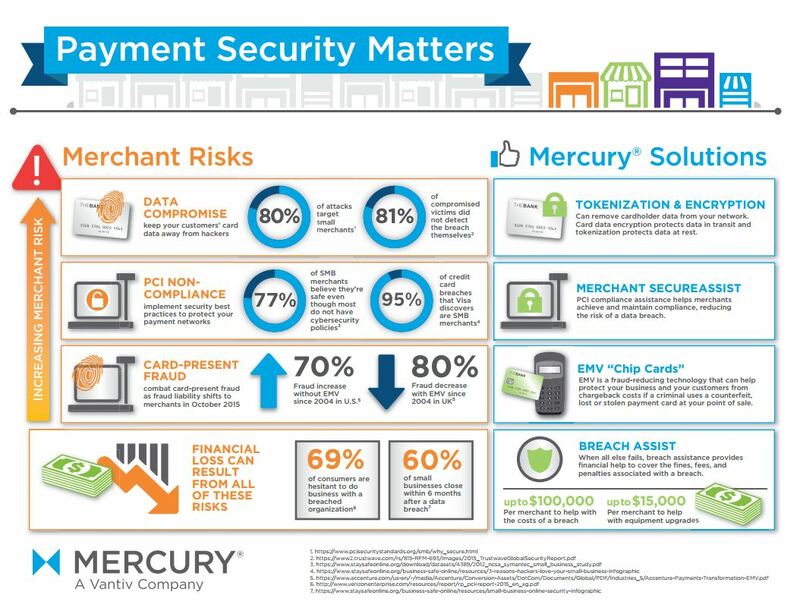 From PCI Audits, to EMV chip ready terminals, to encrypted card readers, Mercury provides the tools needed to protect your business while NOT incurring increased costs. In fact in many cases Mercury can SAVE YOU MONEY while providing increased security.